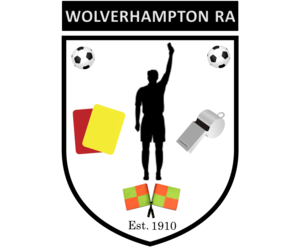 Wolverhampton RA was formed in 1910 and has been supporting referees for many years, our most famous referee was Jack Taylor OBE who was the referee in the 1974 World Cup Final. Germany v Holland. Our membership has grown over the past 5 years and in 2014 we were the largest Association with over 206 members listed. We pride ourselves on supporting all newly qualified referees as they begin their journey as a referee. Our Monthly meetings offer all members the chance to meet once a month to discuss matters that may have happened in their games. We also attract some big-name guest speakers to attend our monthly meetings, referees from the Premier League and Football League have joined with a diary list of future referees already in place for 2019. We have a mentoring scheme in place and this is available for any referee who wishes to take up the offer of having someone at their games on a match day. The monthly meetings are well supported and everyone is made to feel at home on the night with parents encouraged to stay with their child and enjoy the environment of Fordhouses Cricket Club, with bar refreshments available to everyone. Referee accessories can also be purchased from our Supplies box at every meeting, this is often useful for anyone that wishes to keep their kit bag fully stocked up and never run the risk of not having the right equipment on a match day. We look forward to welcoming you to our monthly meeting and helping you progress as a referee, See you soon.